A warm welcome to Merton Windows and Doors. We are a local, family-run business, fitting and installing a range of exceptional glazing products to domestic and commercial customers in Hammersmith and West London and throughout Surrey, London and the South East. 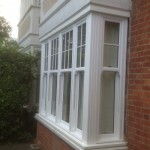 Whether you are looking for functional and classic replacement sash windows for a period property, or an aluminium roof lantern for a new extension to give you more natural light in your home, we are here to offer the best products available on the market and to fit them to an excellent standard. 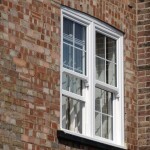 Sash windows are often called vertical sliders and sometimes Georgian and Victorian windows because they are synonymous with that period in history. Timber was once the material that sash windows were always made out of and they would rattle in the wind, let in draughts or get stuck, making opening and closing difficult. 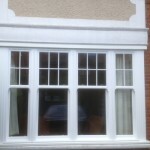 However, the latest generation of sash windows can be manufactured in uPVC, timber and aluminium. All our products meet and exceed British standards and are technologically advanced offering thermal efficiency, security and ease of use. We source our windows from the UK’s leading manufacturers and every product comes with a complete 10-year guarantee for your peace of mind. Our experienced team are always on hand to offer impartial advice, suggestions or help guide you through the process of choosing new windows or doors. We are always happy to complete an on-site consultation, followed up with a detailed quote and scaled drawings for your perusal. You will never be subjected to hard-sales pressure tactics. We know we are only as good as our last job, which is why we strive for complete customer satisfaction, regardless of how small or big a job is. Sash windows offer a stylish alternative to casement windows or tilt and turn windows and can be designed your exact specifications. 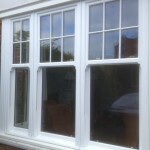 Regularly requested by our discerning customers, these windows are ideal for many homes, not just those of a period style. They offer incredible ventilation when open and can transform the stuffiest of buildings into a more sophisticated and stylish space. 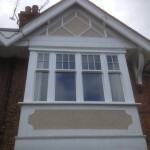 Read our blog on replacing windows for commercial premises. Gone of the days when there is a choice between style and function. 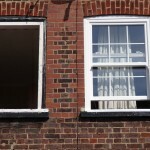 Need to talk to a box sash window expert in Hammersmith or West London? Call us for a quote for vertical sliders! Contact us today for a initial consultation by calling 0208 542 2233, email us at [email protected] or fill in an online enquiry form.